Have you been to Dumaguete City? Dumaguete is the capital of Negros Oriental. It is known to be the city of gentle people. We arrived last December 17 and stayed until December 31. It was a fun-filled vacations with so many activities and adventures for the kids. 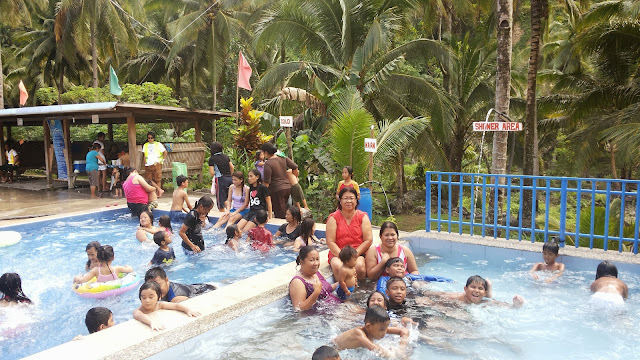 Here in this photo, we went swimming to Ocean 24 Hot Spring in Palinpinon, Valencia, Negros Oriental. True to its name, the water flowing in that small hose near the shower area is really hot - as in HOT! 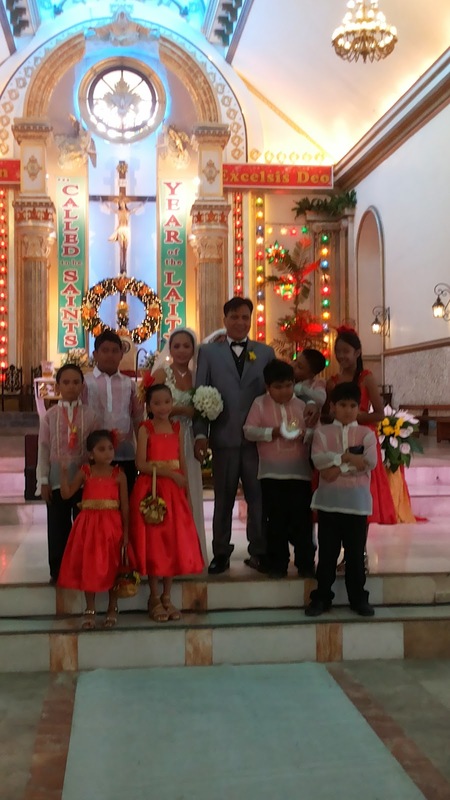 We also attended the church wedding of my BIL. We were all part of the wedding entourage. The boys as the bible and coin bearers, our girl as one of the flower girl. Me and hubby are one of the secondary sponsors. To match my dress, I bought the accessories in one of the local fashion store. They also offer a good selection of guy harvey jewelry for hubby. I was happy I found one that fits his personality.